When I saw these two clothing receipts for sale on Ebay, I just had to purchase them. 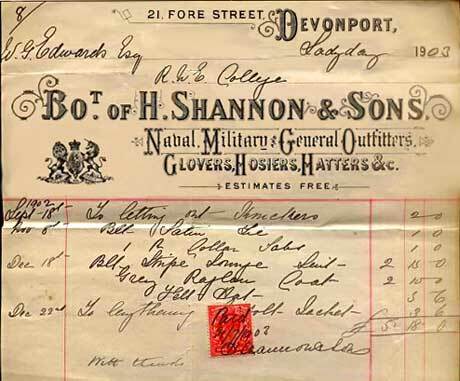 They are the receipts from two different outfitters in Fore Street in the year 1903, and being a lover of Devonport history I thought they'd look great in a frame. Not only that, I thought I could add them to a page under the 'Historic/Businesses' section, which is what indeed I will be doing. On close inspection I saw that both receipts were addressed to the same Mr Edwards at RNEC (Royal Naval Engineering College). Well, well. I checked back at the sellers' surnames, whom I purchased these from, and no, it was not the same person, they were two different sellers from two different towns - both selling at the same time on Ebay a 1903 receipt to the same Mr Edwards. What a coincidence! I'm still amused at the coincidence of it.... Here you are, have a look at the two scans below. It would be great if a descendant of Mr Edwards saw these, and found that their ancestor's time in Devonport added to their family history story. There's just one thing, the initials of Mr Edwards are different on these receipts; the initial G is on both though - I'd say these were for the same person, wouldn't you? Mr Edwards was definitely a service man as some of the clothing was for uniform items (as opposed to being a civilian working at RNEC that is). 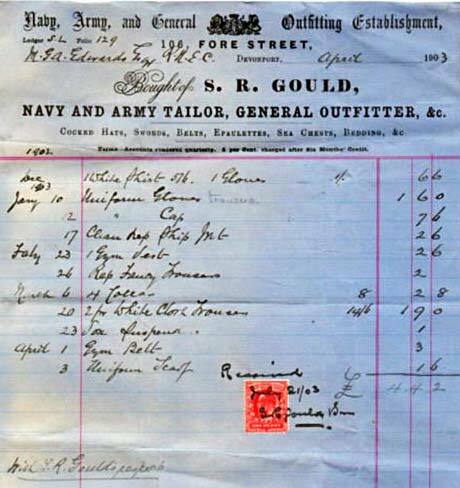 I'd say he was financially secure since he bought some very nice items, including a Raglan coat and a lounge suit - the total amount for each receipt was a large amount of money back in 1903. 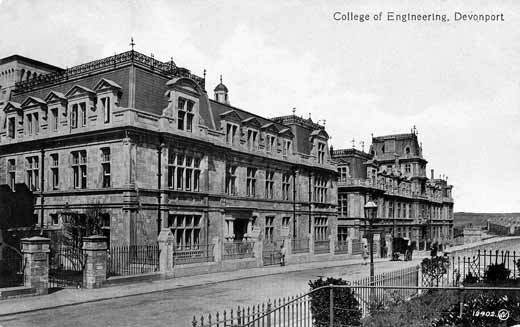 Postcard showing the naval engineering college at Devonport that Mr Edwards either attended or taught at.